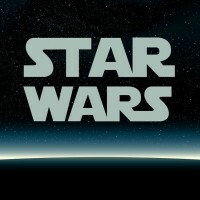 September 28, 2015 – To celebrate the newest Star Wars film, Colorado Springs Philharmonic will be hosting a Star Wars brunch and two evening performances of music from John Williams. The Star Wars brunch will be held on Saturday, October 24 from 11:00 a.m. – 1:00 p.m. Favorite Star Wars characters will attend this family-style brunch and participants are invited to dress for the adventure. Adult tickets are $35; children under 12 are $20. On October 30 and 31, at 7:30 p.m., Thomas Wilson will be conducting John Williams’ amazing film scores. Music selections will come from Saving Private Ryan, The Patriot, and Harry Potter, as well as favorite Star Wars themes.